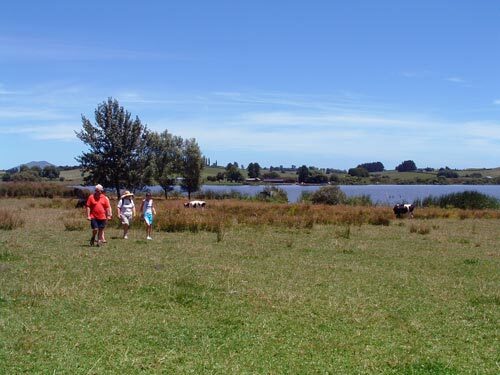 Lake Ngāroto, one of Waikato’s largest peat lakes, is popular for water sports. It is encircled by a walking track. The water quality, which has suffered from run-off from farming, is being improved through plantings of native vegetation around the lake’s edge.